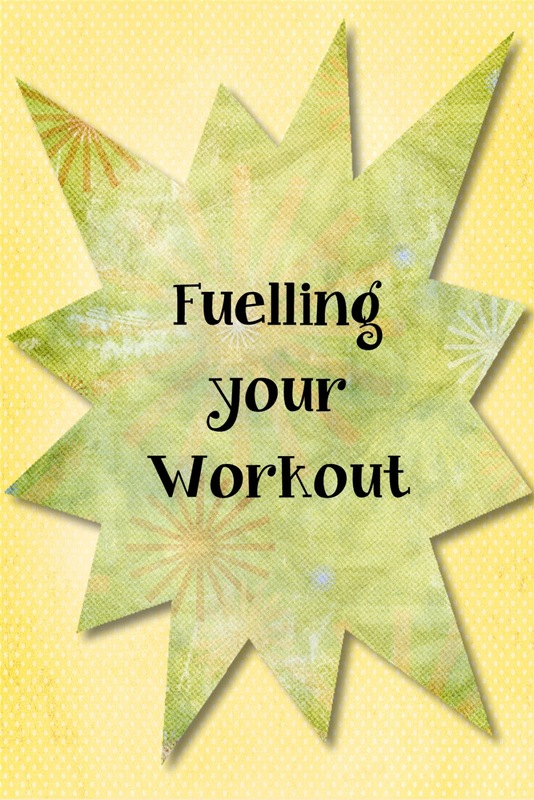 As a busy mum, nutrition is important to me, especially before, during and after workouts. If I eat the wrong things or do not stay hydrated, I can end up with stomach cramps, lack of energy and even the dreaded runners' belly. Most of my exercising happens early in the morning. I find it hard to workout on an empty stomach, but I do need to eat an hour in advance or I do not feel my best with my stomach sloshing around while I am moving. If I am going for a run, I start with protein. My two favourite go-to breakfasts before a workout are a Power Shake or a Banana Omelette. Saute the banana in the coconut oil until well cooked, then pour over the egg and cook until set. Sprinkle with cinnamon and serve. During my runs, I tend to listen to the same playlist as my Housework Songs as these are upbeat tempos. When I do at home HIIT workouts, I have set music that times me for my reps and gives me rest periods, and I find this extremely helpful in keeping me motivated, and it also means I can get some movement in without leaving my house. I mix the HIIT workouts with my running to mix things up a bit, and also walk for an hour 5 days a week. After a workout, I find it helpful to have a fluid replacement and supplement in one- these travel packs are convenient and easy to mix up anywhere I run. A handful of nuts is also great if you don't have any fluid on hand, although it is important that you do rehydrate after exercise. If you are looking for a clean, high quality pre-workout supplement, I suggest checking out ETBFit. I love the philosophy behind their name, which stands for "Eat The Bear". As they say, “Some days you eat the bear, and some days the bear eats you.” I love that these products contain no banned substances and disclose all of the ingredients on the label, and ETBFit also provide free nutritional and training guidance. I believe that eating nutritious, healthy food and supplementing when needed will set me up to get the most from my workout, and I feel better in myself when I am putting the right fuel into my body. I hope you will try some of my recipes pre-workout and let me know what you think! I just started training for a half marathon TODAY so these are great tips. I have never had fruit in an omelette before, but I may have to try that... it kind of sounds good!! Ohhh I love that recipe for the Banana Pancakes. It is so simple and healthy and satisfying! Thats for linking up with us and nice to meet another runner! Ooh yum! Love the shake and the pancakes. I am going to have to try the pancakes next weekend. Sorry for the late comment and thanks for linking up!